Chewing connects you with your satiation signals. This is the second part of my argument why chewing is better than pureeing food. In the previous blog, I talked about why pureeing food is not a good choice for your eating habits. I discussed how chewing releases the nutrients in food, allowing your brain to assess what you are eating. Chewing your food is also body’s method of assessing how much food to eat and when to stop eating. If you puree your food for the supposed reason of releasing its nutrients, you are actually depriving yourself of the ability to control how much you eat. Pureeing food into a drink removes your brain’s ability to measure the actual quantity you consume because what you put into your mouth becomes a function of the predetermined amount of food you blended, especially if you feel compelled to “drink it all up” so as not to waste what you blended. Furthermore, you may fall into the trap of over-consuming foods that have beneficial nutrients but which your body does not need at the time. In the end, this can take you down the slippery slope into gradually gaining weight without even realizing it. Finally, I suggest that blending foods removes another key element in knowing when to stop eating. When you eat, the brain’s pleasure response is stimulated since you need to enjoy the food in order to keep eating it. If you have ever had a cold in which you cannot taste or smell food, you know how unpleasant it can be to eat, and the result is that you often lose your appetite. When you chew and taste your food, that pleasure signal helps you know when to continue eating and when to stop. If you pay attention while chewing, you will notice that your enjoyment of eating will diminish, a signal that it is time to stop eating. Not overeating is one of the primary keys to avoid gaining weight. 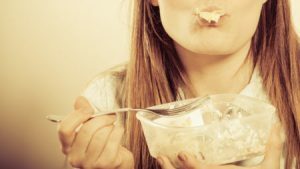 With this in mind, it is clear that slowly chewing real food, not gulping pureed food, is critical in eating in a healthy manner that helps you control weight. Between responding to the brain’s hunger signals with foods you enjoy eating, and watching for that enjoyment to cease which tells you to stop eating, you are in a much better position to eat just the right amount rather than overeating. 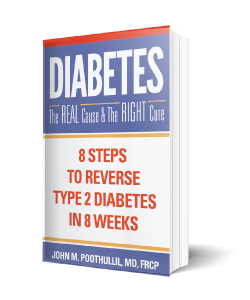 Since the 1980s, obesity has increased at an alarming rate in the US, and has become associated with chronic illnesses such as type 2 diabetes. An understanding of the natural eating and weight-regulating mechanisms in the body is key to helping people maintain their “authentic weight.” I define this as the total weight of all the tissues, bone, blood, and bodily organs when your nutrient levels as measured in your blood are within normal limits. Reconnecting with your authentic weight—the sense that you are comfortable in your skin – is a much better way to sense how much you should weigh rather than relying on a body weight predetermined by a weight /gender / age table or calculated based on your height. To maintain a stable authentic body weight, your intake of energy-containing nutrients has to be matched with their expenditure. Studies of energy balance in humans show that energy expenditure does not significantly increase when there is an excess of energy intake. This means that maintenance of body weight must be based on your control of nutrient intake. In other words, if you eat too much, you won’t automatically eliminate the extra weight, so if you don’t want to gain weight, don’t overeat either by eating when not hungry or eating too much at a single meal. Especially as one gets older, even a chronic small excess of food intake over expenditure can lead to weight gain. PreviousPrevious post:To Puree or to Chew – Part 1NextNext post:Is it Ok to Eat Quinoa, Buckwheat and Other “Non-Grains”?